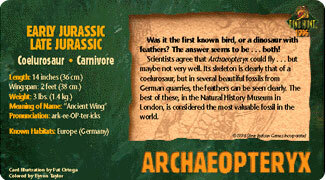 Here's a sample of a few of the cards. 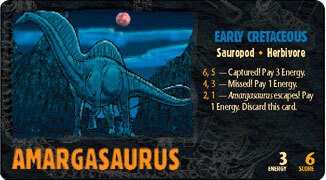 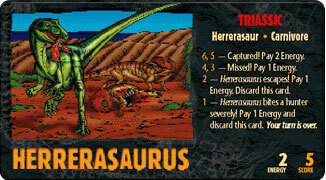 The front of each card features a picture of the dinosaur, when it lived, what it ate, what kind of dinosaur it was and how tough it is for a player to capture. 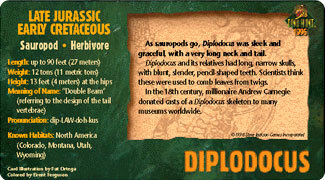 The back of each card is full of dinosaur facts: size, weight, habitat, meaning and pronunciation of its name and more!